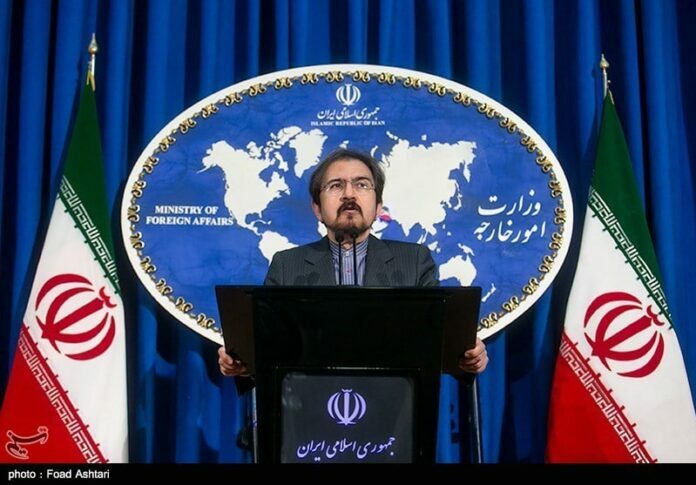 Iran’s foreign ministry has condemned and dismissed allegations made by Washington for shutting down the US consulate in the Iraqi city of Basra, saying that the Americans’ remarks are unjustified, unnecessary and clearly part of a blame game. Foreign Ministry Spokesman Bahram Qassemi said on Saturday that the Islamic Republic of Iran censures any attack on diplomats and diplomatic places. “The ridiculous justification [provided by Americans] for the closure of the US Consulate General in Basra, which came after weeks of propaganda and false allegations against Iran and the Iraqi forces, is a suspicious move aimed at evading responsibility and pinning the blame on others,” noted Qassemi. The US has announced it will close its consulate in Basra and evacuate its diplomats from there after what it called increasing threats from Iran. US Secretary of State Mike Pompeo cited on Friday “increasing and specific threats and incitement to attack personnel and facilities” by Iran as the reasons for such a decision. He also warned Washington would “respond promptly and appropriately” to any such attack.